After 10 years of operation, we are closing our doors to start a new project at Upward Brewing Co. We are throwing a party on our last day open. Come celebrate with us and The David Walton Band OUTSIDE (so bundle up!) Food is limited. First come first serve. Lots of drinks though. Lets dance and hug and party! We are reopening!! 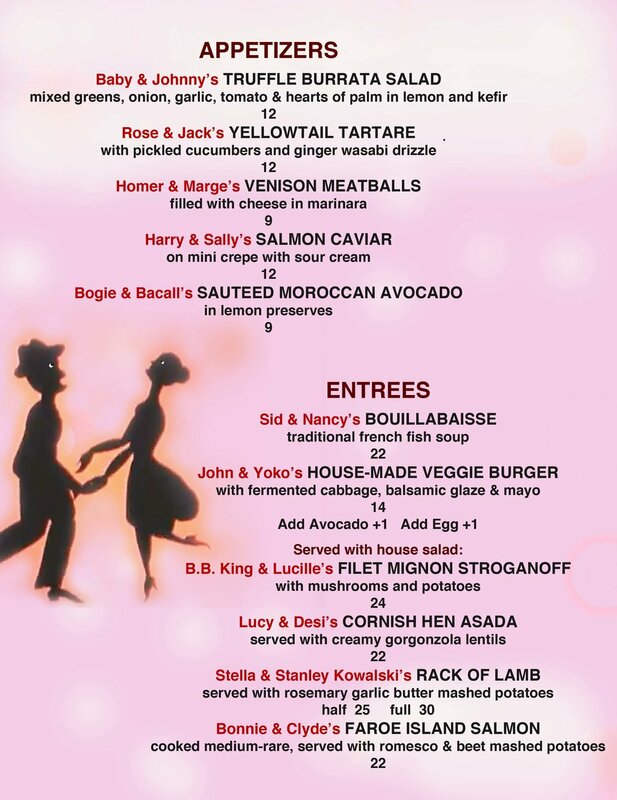 Join us for a romantic dinner. After Valentine's Day we are NOT OPEN WEDNESDAYS until late spring. 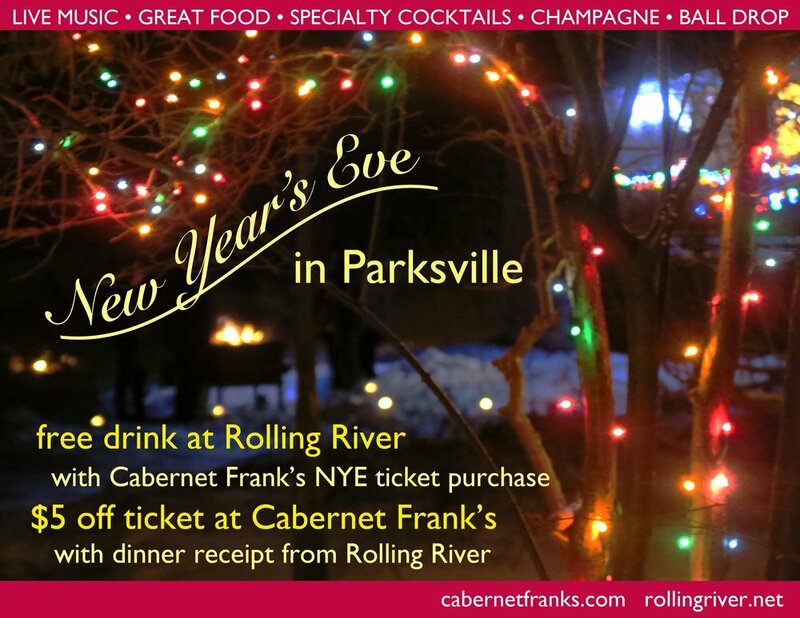 Spend your New Year in Parksville bopping between Rolling River and Cabernet Frank's! It will be so fun! Tired of cooking all day? 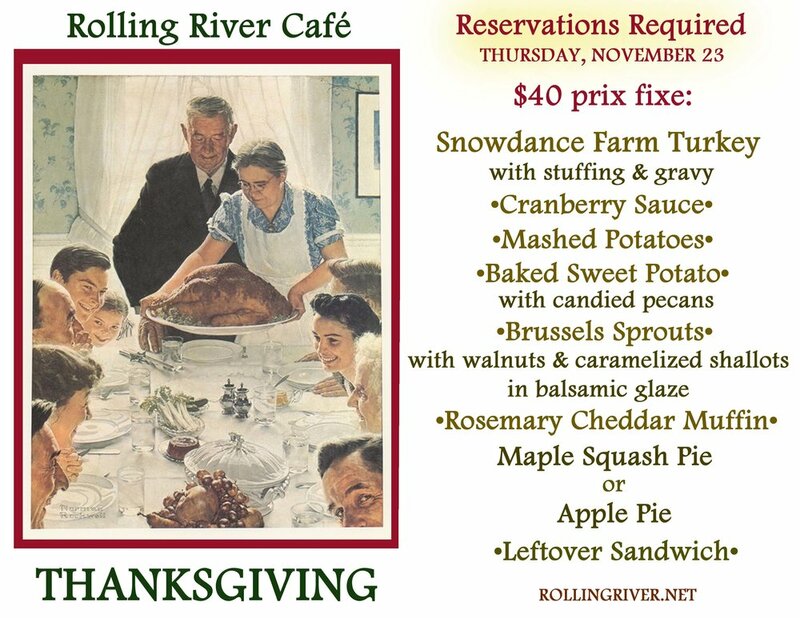 Bring your loved ones to Rolling River for a traditional Thanksgiving dinner. We know the best part of cooking at home is the leftover sandwich the next day, but don't worry! Every person will leave with a leftover sandwich! We'll be open for Brunch on Memorial Day Monday. Join us! Back due to popular demand! Join us for our second Spelling Bee(r). Sign up begins at 5:00. First come first serve, 25 contestants max. If you don't feel comfortable spelling then come and watch! This is a fun event all around. This will also be our first official TAPAS NIGHT! Menu is predominantly tapas a la carte. Burger, Veggie Burger, and Pelmeni (Russian dumplings) will still be available on Tapas Nights.